Need a taxi service immediately? Call Us. Our taxi service in El Cajon will be able to provide transportation for you throughout the East County San Diego area. We provide taxis for airport transportation, rides to your mechanic, larger events, and even a ride through town. 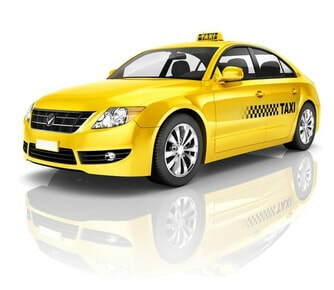 In this way, we hope to provide a cab service for you that will be pleasing, cleanly, quick, timely, and very affordable. Please feel free to let us know how your taxi service was. We hope that it met all of your demands and more as we have spent countless time improving our fleet of taxis (every taxi is less than a few years old) and have a very strict hiring process to be able to bring you a better cab service in El Cajon. In addition to our taxi service in El Cajon, we also supply small bus transportation for church groups, events, mountain hikes, and other adventures throughout the San Diego. If you are interested in these services, please call us and as about our Pioneer bus service, all for one small flat fee. Once you are dropped off at your location, you may ask your taxi driver to stay for you if you are running multiple trips or need to arrive at another destination. We've striven to to create a taxi service that is very flexible to your demands and provides a quality service along the way. Call El Cajon Taxi Service today!